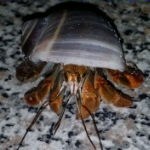 Christa wrote: Pursuant to the HCA's policy: We wish to remind all adopters and adoptees to not attempt to ship live land hermit crabs during that time. Doing so will put the crabs at unnecessary risk for stress, damage and possible death. Hermit crab welfare is the #1 priority of the HCA. 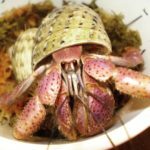 Hermit crabs generally do fine with being mailed, and sometimes it is the only option for families who are looking to rehome their pets, or for keepers who wish to adopt rather than buy. We do realize that the above ban may not apply to adoptions in Southern states during warm periods - however packages can get routed through extremely out of the way hubs and travel to areas you aren't expecting and may end up too far North for safety. 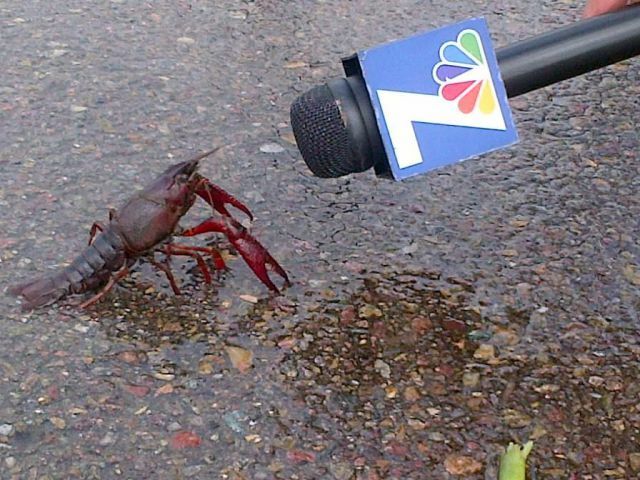 If you aren't completely sure, do not risk the crabs' lives! Hermit crabs must only be shipped using an overnight service, and this can be expensive. The longer the time they spend in a box in transit, the more likely they are to develop stress related illness, and Post Purchase Syndrome can be triggered again from the shipping process. While hermit crabs can be mailed across the country, finding an adopter that is closer to you will usually cut down on cost and transit time. Some express services may take an additional day and this does not seem to affect healthy crabs. Please take into account the state of the crabs that are being shipped. Sick, injured, or new crabs that may be already suffering from PPS are at higher risk of developing problems from being shipped again. Ideally, shipping candidates are hermit crabs that have been in captivity and have molted successfully a number of times. If your hermit crab is not doing well, finding a local adopter is the best option. The crab will be experiencing at least a day of what could possibly be less then perfect temperatures and humidity levels, and will also need to be without food and water during that time. For a healthy crab this is not an issue, but for one that is already showing signs of stress or illness it may be too much. Delivery delays can happen even with guaranteed overnight services. Many people who ship animals on a regular basis recommend shipping on Tuesday which avoids the Monday business rush but still gives plenty of time before the weekend for the package to arrive in case of a problem. Always leave as much time as possible between the day you ship and the weekend, because if a problem does arise usually nothing can be done to get the hermits to their destination on Saturday or Sunday. That means they will be stuck in transit for at least another two days, and possibly longer as the problem is sorted out with the shipping company. [*]There are now reptile-specific mailing services, and they will accommodate hermit crabs. They can be more expensive, but they have a good track record as they contract with the larger shipping companies like Fedex to get animals where they are going alive. They also have special mailing kits, and have packing and shipping guidelines to help protect against weather extremes. Ship Your Reptiles and Reptiles 2 You are two such companies. [*]The United States Postal Service (USPS) accepts live hermit crabs under DMM 526.6 Small, Harmless, Cold–Blooded Animals. Most post offices have never mailed a hermit crab and won't automatically know if it is allowed - you may need to tell them to check section 526.6 for them to accept the package. You are supposed to mark the box as containing a live animal (you can mark it Live Crab or Live Aquaria) and declare to them what you are shipping. If the post office gives you trouble, it may be best to try a different location rather then try to fight with the employees. Express services start at around $15 for light packages traveling short distances within the state, and there is a flat-rate box which can fit several crabs and is one cost to anywhere in the United States for $45. Your local post office can provide express mailing boxes at no cost, and they also offer a Hold For Pick-up option when mailing so the package will be held at the adopter's local post office rather than being left on a porch or in a mailbox where the hermits could possibly overheat in full sun before the package is brought inside. You can estimate the cost of their service by using their Postage Calculator if you have both the origination and destination zip codes, and an idea of how much the box will weigh. (Generally between 1 to 2 pounds for a few hermits.) Some Express packages may take two days to reach their destination - to find out how long it will take to get there, have both the origination and destination zip codes and use their Service Commitments Calculator. Please note that while the cheaper Priority mail is usually very quick, it is not a guaranteed service and from my experience will often take several days longer than is estimated, so it is not recommended! The Express mail is a guaranteed money-back service so they go the extra step to make sure the package is delivered on time. [*]The United Parcel Service (UPS) accepts live animals at any of their corporate mailing locations. However, "The UPS Store" and authorized shippers are not corporate owned and these locations usually do not accept live animals for shipment, so call in advance to find out where you can take your package for acceptance. Shipping rules for live animals via UPS are located here. Prices for next-day shipping a light package a short distance in the same state start at $30 and go up from there based on weight and distance traveled. However, the UPS offers extended drop-off times late into the evening, and may be the only option for some people. Price can be estimated by using their Calculator. [*]Fedex does not accept live animals from the public at this time without prior authorization and arrangements. Their shipping terms are located here. There are several methods that can be used to secure a hermit crab for a day or two so it can mailed safely. The biggest thing to remember is that this is a very unnatural situation for the hermit crabs and they can panic and harm each other. Each crab should be kept physically separate from the others to prevent serious injury. You will not be able to include water, and food that can mold or spoil should not be added either. 24 to 48 hours without food or water should not be a problem for a healthy hermit crab. The shipping box should be new and/or strong, and it is best to line the interior with thin Styrofoam to both help with temperature and humidity levels, and with cushioning and sound deadening. Always contain the hermit crab securely in some way within the shipping box. Use lots of padding inside to cushion the containers and provide a level of protection against drops and temperature extremes. You may want to mark the box with "Live Animal" or "Live Aquaria" or "Live Crab", or with "Keep out of direct sunlight", but there is a lot of debate between people who mail pets on whether these labels are helpful or harmful. Many of the large hermit crab companies ship their hermit crabs in burlap or cloth sacks that are sealed with twist ties or with thick string. This allows air flow, yet keeps the crabs contained and unable to pinch each other. As long as you have access to hermit crab safe materials (no chemicals, etc) this is a safe method to use. Cheesecloth is a great option if you can find it. Bags should be slightly moistened in dechlorinated water to help keep humidity levels even and then situated in lots of shredded paper or crumbled newspaper for both cushioning and insulation. If you feel comfortable, you may be able to ask a local pet store for these shipping bags, and they are also available for purchase online. Another method is to use plastic deli or used food containers filled with moist moss. The containers should have numerous vents cut or drilled into them for air flow. This not only cushions the crab directly and gives them proper humidity levels, but it also gives them something to munch on and the ability to move around a bit. Use a container that is not much larger then the hermit crab, fill it completely with moist moss, and set the crab inside. It should be filled with enough moss so the crab won't move when jostled, but will still allow the crab to tunnel with effort. These containers can then be nestled into shredded paper or newspaper to keep them from moving around within the box. This method weighs more and it takes up more space. If you do not have extra containers, most delis will sell you empty plastic containers with lids at cost if you ask politely. Make sure to tape the lids onto the containers once the hermits are inside! It does not take much effort for them to pop the lids open. I've used this method twice to ship hermit crabs. Examples of containers and the box used to ship hermit crabs. The lids were taped onto the containers after the photo was taken. A square piece of styrofoam covered the containers in the second photo before the box was sealed. No shipping method is fool-proof, and accidents can happen. Packages can be lost or damaged or delayed. Weather can change at a moment's notice. Boxes can be left in direct sunlight or in places that are dangerous. While the risks are extremely minute and the likelihood of something catastrophic happening is almost nothing, you should still be aware of the possibility. wodesorel wrote: Because of this, the Hermit Crab Association does not support shipping crabs between the months of May and October in most of the United States. Did you mean that shipping is NOT supported between October and May? Or that it IS supported between May and October? I know what you meant but just afraid that someone who doesn't know might misunderstand. Just want to clarify for others. happycrabbymama wrote: Did you mean that shipping is NOT supported between October and May? Or that it IS supported between May and October? I know what you meant but just afraid that someone who doesn't know might misunderstand. Just want to clarify for others. Fixed! I transposed the months by mistake. Thanks for catching that! Thank you for this information. This is very informative. It will be nice to have all this in one thread. Being in south Florida means I basically can't get crabs mailed to me. The only time it would be halfway reasonable temperature wise is when it's about 75 outside, which isn't very oftenml. It stayed 80 almost all winter here. Now it's like a hot box in a mail truck, and even for one day that would make me extremely nervous. I share this world with a few crabs, a kid, a furry four legged barking kid, a wonderful man, and a lot of nonsense. Life is full of fun, and I'm full of life. May I make a suggestion? Along with the substraite and styrofoam as a cushion, a good way to keep their temperature in check even if they are being shipped during the safe month, is to stick them and the container in a soft lunch bag. It will act as an insulator and further protect them. Also bubblewrap is a good idea around the container. As long as the substraite is moist it will keep their gills moist. I don't have a good post office, it takes way too long to deliver packages, so I would just do the extra shipping and UPS or Fedex the animals. All the times I have mailed them or gotten them sent to me Fedex overnight. You've got it all wrong....we are the pets, not them! I have read all of this information and it would be nice to have some crabs shipped to me. I have been looking to adopt Ecuadorian hermit crabs and my only option is to have them shipped to me. I would be willing to pay for the shipping.....HOWEVER....everytime I asked about a couple of hermit crabs in the Facebook page I was told that they could not be shipped to me.....I believe soilentgringa is the one who told me that on facebook.....so whats the real deal??? Last edited by ALTorres30 on Sun May 08, 2016 8:27 am, edited 1 time in total. ALTorres30 wrote: I have read all of this information and it would be nice to have some crabs shipped to me. I have been looking to adopt Ecuadorian hermit crabs and my only option is to have them shipped to me. I would be willing to pay for the shipping.....HOWEVER....everytime I asked about a couple of hermit crabs in the Facebook page I was told that they could not be shipped to me.....I believe soilentgringa is the one who told me that on facebook.....so whats the real deal??? Assuming that a good adopter can be found, being adopted locally will always be better for the crabs than the stress of shipping, so it seems that's the strong preference of hca and most owners. And reading the info above, hca doesn't support shipping hermit crabs until after the end of May to ensure that the temperature doesn't drop below what is safe for the crabs. I suspect that most experienced owners won't take shipping their loved pets to someone they may not know lightly and in rescue situations I'm not sure I'd be confident that the crabs would be packed well and be able to handle the stress of shipping. Because the owners specifically stated that they only want local adoptions. The owners set the parameters for their adoptions. As the adoption coordinator, it is my job to connect the owner to potential adopters fitting their criteria. Shipping is extremely stressful for crabs. Even if you do everything 100% the right way, a postal mishap or weather issue can kill the crabs. Many owners feel that all the time and effort that they've given their crabs is not worth the risk. Again, as I stated earlier, as the adoption coordinator I am obliged to follow the conditions set forth by the owners. Thanks for this wodesorel!! I'm going to try and adopt from our facebook page. But I've got medical issues going on so travel is not an option, but I really want to help this person out! Thank god its possible, hopefully it works out. 1 dog, bender the min pin. And one betta named Henry. I dont know if its a boy or a girl, its still pretty young. the worry in texas is there's hardly a window of good weather when it's safe to ship. the minute it's not too cold, it's too hot. shipping is a last resort for me.